theAd>>I have a MIM Fender Jazz Bass Deluxe Custom for sale. 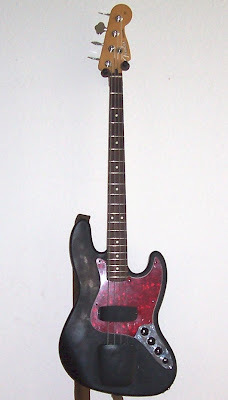 Red PG on Flat black body. Ashtray and pickup cover. Active Preamp. NEW DR Red Devil Strings Medium Gauge. 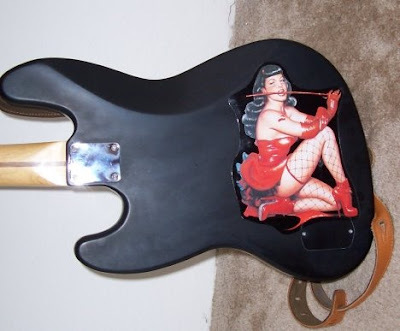 Betty Page on the back.